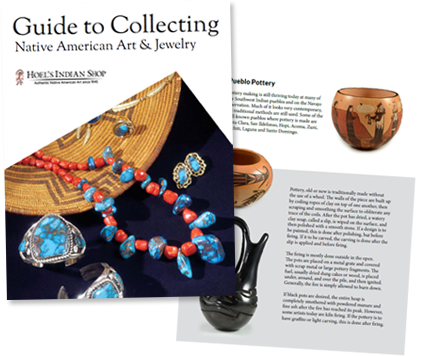 Kee Yazzie translates ancient petroglyphs from the canyons near his Ganado, Arizona home into contemporary jewelry. 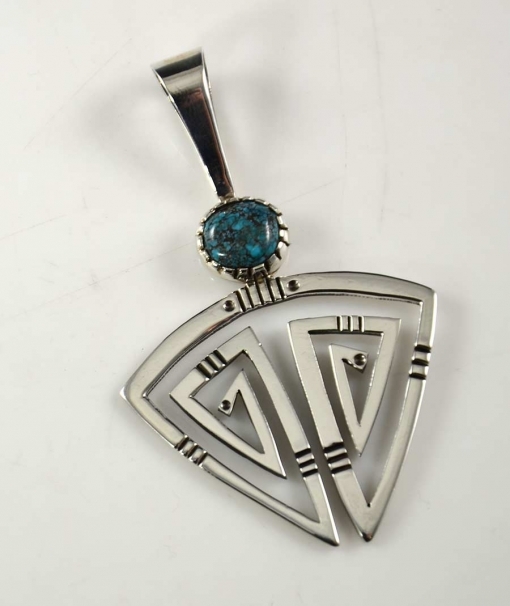 His overlay work in sterling silver and gold transforms the rock art from his home into wearable art. 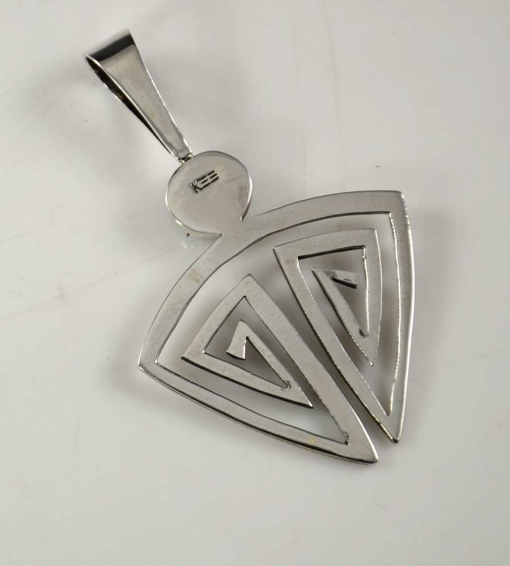 With hundreds of small, precise cuts of a jewelry saw, his miniature reproductions of the petroglyphs give the illusion of a mosaic of metal. 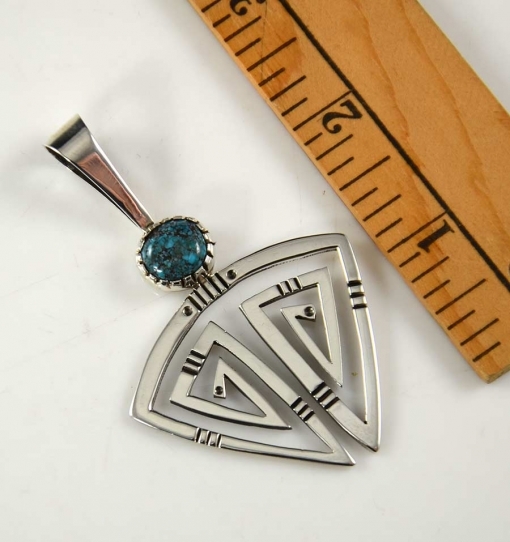 Artist Kee Yazzie, Jr. continues to create elegant new designs!